BMW- RLR M3s working much better this week end, qualified 3rd and 4th in ALMS GT2. St. Petersburg, Fla. - April 3, 2009... After setting the fastest GT2 class time in the one-hour practice session immediately before qualifying, the BMW Rahal Letterman Racing Team M3s qualified in the third and fourth GT2 class starting positions for tomorrow’s Acura Sports Car Challenge of St. Petersburg. Joey Hand, co-driving the No. 90 M3 with Bill Auberlen, will start third after recording a 1:13.262 minute lap on his fourth circuit around the 1.8-mile, 14-turn temporary street course. Dirk Müller’s third lap of the 20-minute session, 1:13.458 minutes, will put him next to Hand, fourth in the GT2 field. Müller will co-drive with Tommy Milner. Earlier today, the 11-car GT2 field was greeted with a torrential downpour half way through the morning’s one-hour practice session. Both cars took to the track, but the chance to collect data during the team’s first laps at the 1.8-mile, 14-turn street circuit was limited. 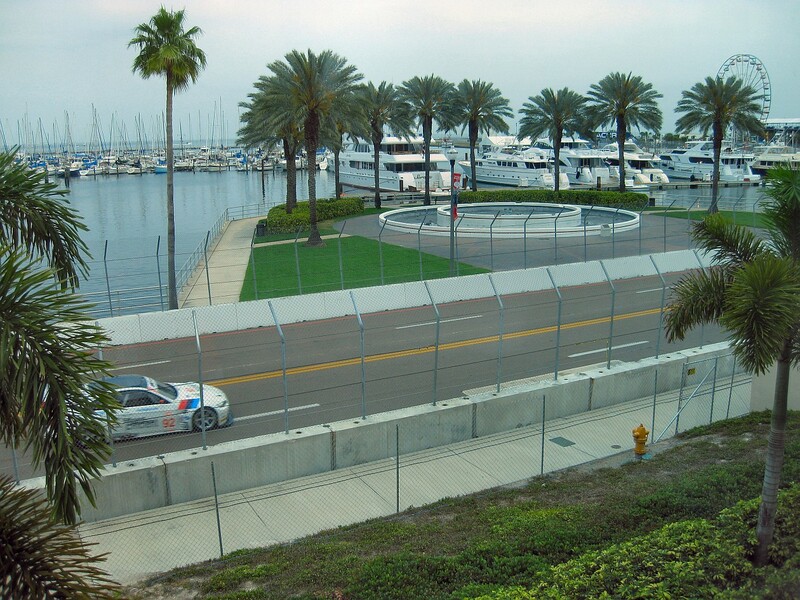 The one-hour and-fifty-five minute Acura Sports Car Challenge of St. Petersburg is scheduled to take the green flag at 1:20 p.m. tomorrow. “I am pleased we are beginning to show progress. Any new effort takes time, but perhaps we are changing the rate of our learning curve. I believe the team’s knowledge about St. Pete from previous Indy Car and ALMS experience played a large factor today and will certainly help us tomorrow. It is important to start at the front of the field and we look forward to tomorrow’s race.